Welcome to our quick guide on how to publish your first Flipbook. 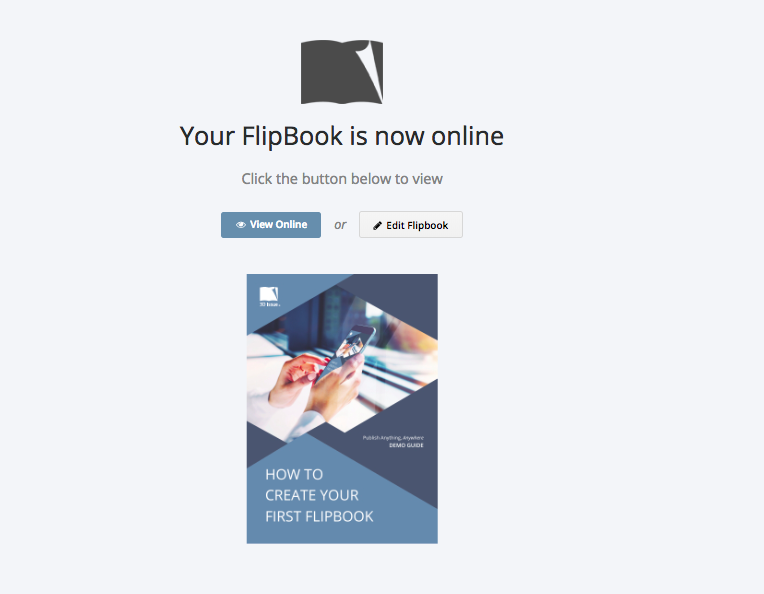 You can log into Flipbooks online here. Or via the Log In link in the corner of the Flipbooks page on our website. When logging in for the first time, you will be brought to the create page. Click Select a PDF to upload and select your publication or drag a pdf onto the page to begin uploading it. 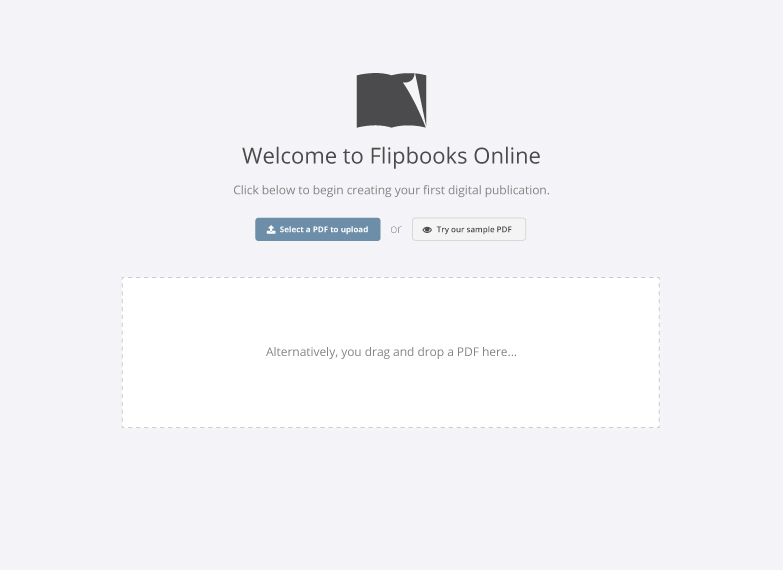 After uploading we’ll convert your PDF into your first Flipbook. Please note that our system current supports only Single page spreads. Mixture of both will be available in the coming weeks. Trial accounts may see a “Sample PDF” option. This will let you build a sample without uploading a PDF. Once the process is complete you’ll be given the option to View your new Flipbook. You can also choose Edit Flipbook to customise your Flipbook and add interactivity and features.